Today’s world of digital marketing for B2B companies is rapidly changing. It’s no longer enough to simply send out emails and hope leads will reply. With more data channels than ever and greater empowerment by prospects in their researching and buying process, it can be difficult to pin down leads. Prospects are more likely to get all their information without ever talking to a sales rep, which means that marketers need to step up with creative new tools for incisive, targeted marketing that is tuned in to the needs of the buyer. The answer is marketing automation. A study by Forrester Research showed that implementing a marketing automation platform can reward B2B companies with a 10% increase in their sales-pipeline contribution. B2B marketing automation software is so powerful because it brings together a whole suite of vital functions into a tidy package. The most basic aspects of marketing automation are email campaign managing, a centralized database of company marketing information, and advanced analytics tools for tracking web engagement and hits. Most other modern software packages also include tools to assist in the capturing, scoring, and nurturing of leads, as well multichannel reporting, and analysis software to better direct your marketing campaign. 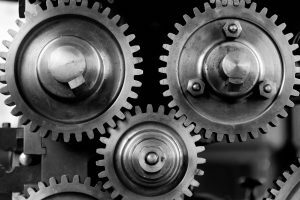 There are numerous immediate pros to implementing a marketing automation platform for your B2B company. First, there is increased efficiency. Automating the repetitive, menial tasks of campaign scheduling such as blog post calendars, email personalization, and content creation planning frees up time and resources. Data is also made more efficient, as a centralized structure makes it possible to eliminate siloes and get rid of duplicate or contradictory information in your files. Marketing automation also allows B2B companies to better identify qualified leads. Demographic and behavioral data can be quickly and easily parsed, and lead scoring can be automated through multichannel tracking. All this comes together to create far more comprehensive and insightful reports than manually assembled ones. Finally, implementing a marketing automation platform allows your company to better align sales and marketing goals. The least productive thing a company can have is a feuding marketing and sales department accusing one another of bad salesmanship or low-quality leads. With data no longer siloed away between departments, feedback and workflow are made far easier, increasing the cohesiveness of your company. The most important rule of marketing is knowing who you are selling to. A persona is a semi-fictional, but data-informed profile of the person who is buying from you. The idea is to get into their mindset, extrapolate their needs, background, and online habits. This can be gleaned from interviews with current clients, general surveys, and personal experience. The persona is then used to determine the type of leads you want to pursue, and where you will engage them. The best strategy is to make numerous personas of different prospects who would be interested in your product, then focus on the persona or personas that yield the highest conversion rate. Marketing automation works well for numerical analysis and reporting, but the human touch is needed to find the right buyers. One of the most powerful ways to engage a prospect is to offer them something for free. Be it a blog post, an industry report, or an eBook, anything that engages a potential buyer is key to bringing along the buyer’s journey. Creating content that answers the questions a prospect has while researching a purchase makes your company valuable to them. And if they want more material, they will subscribe to your newsletter or download your eBook. If you properly engage a lead, they will be willing to give you their contact information, which can be filed into your database so you can target the lead. Automation allows for the rapid processing and direction of data, and a roadmap of where and how that data is utilized is absolutely required for a successful campaign to be run. Mairi Burns, Vice President of Client Services at Dunthorpe Marketing Group says that mapping lead flow is the “single biggest differentiator in companies that are successful with marketing automation.” Creating a management program to nurture current leads and reinvigorate old leads with targeted messaging can increase revenue five times according to Sirius Decisions. Targeting leads with quality, message-building content is important but equally important is making sure that the right content is delivered at the right time. Aggressively marketing a specific service to a lead who isn’t very far down the buyer funnel will not be very fruitful. Instead, nurture the lead and build a rapport. Acting as a thought leader and producing general, but helpful and high-quality content will bring high-quality leads to you. Then once they’ve expressed interest is when you can begin to explain why your services are right for them. It’s important to let the buying decision be the buyer’s choice, encouraged by your engagement strategy. 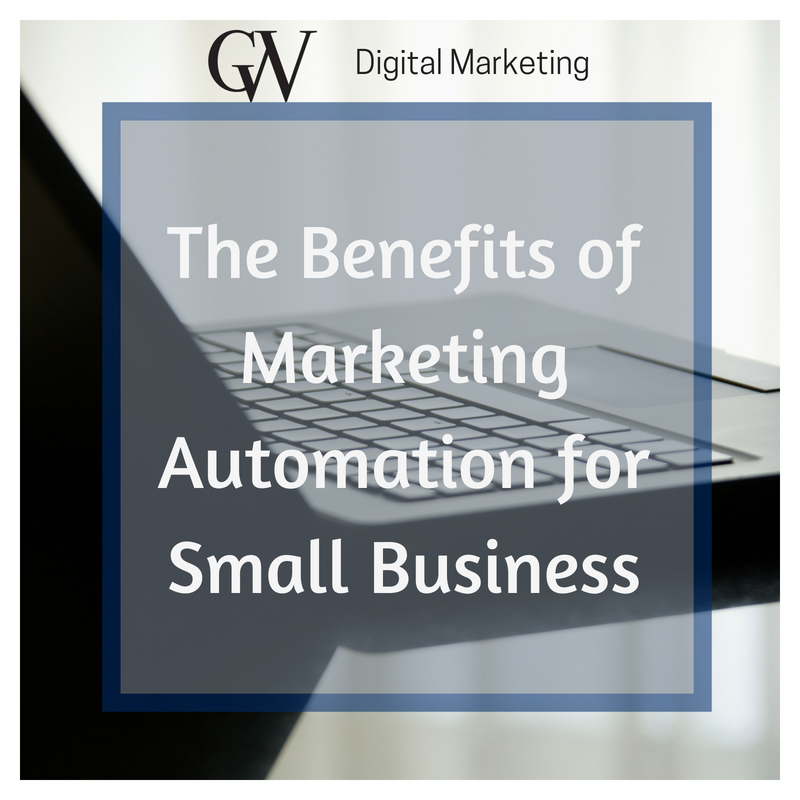 Especially for small businesses, marketing automation is a fantastic opportunity because it results in high-powered marketing for a relatively low cost. 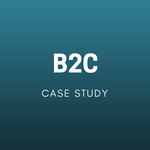 No need for massive B2B campaigns to court potential buyers. All that’s needed is strong data on leads, and structures in place to analyze and score them. Marketing automation makes advanced tools available to even the smallest companies and puts them in a great position to expand their brand. However, for all the benefits of marketing automation, it might sound like a slew of complicated new problems, and this is true. There are some potential downsides to implementing a huge system like a marketing automation platform. First is that the implementation itself might be highly inefficient. Complex software suites are complicated and time-consuming to set up and need to be properly integrated with all the current systems in marketing and sales to show their maximum effect. The right kind of software also must be chosen carefully for your business, so it fits your needs. Additionally, sales and marketing reps may be resistant to changing over to the new system. The holistic approach to marketing granted by marketing automation requires a new kind of thinking both for sales and marketing. Your employees need to be onboard for the implementation to be successful, so ensuring they are comfortable with the new tools and workflow is key. Finally, underutilization of a software’s features due to lack of knowledge can result in a less-than-stellar return on investment. If the powerful, complex software is just used as a glorified email server there’s really no point in having it in the first place. Implementing a marketing automation system is imperative for B2B businesses to grow in today’s market, but they must be used right. This is why if you want to use advanced marketing automation for your business, your best bet is to hire someone who really knows what they’re doing; a marketing automation consultant. Hiring a market consultant will help run your campaign with the best possible efficiency and precision. They know the ropes, they know the terrain, and they know how to translate your message into the language of highly targeted inbound marketing strategies. A consultant will be able to come in a tell you what kind of platform you’ll need to run your campaign, or might even if you should hold off until you have put the correct data structures in place. They’ll also ensure the set-up goes smoothly, configuring the platform to your needs, and porting your CRM data into the workflow. If needed, they can also provide training to employees unfamiliar with the new tools. Furthermore, a consultant will also work with you to craft content for your automation efforts. 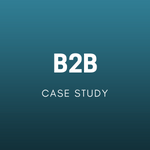 They will be able to help you write the type of B2B-based posts and pages that prospects are looking for and polish your landing pages and website pages to be more engaging. Most importantly, a consultant can create an effective content calendar to plan posts and events, and distribute them across the corrects channels. From there they can help you use the marketing automation platform to create high-quality leads, target, capture, and convert them. A consultant can pinpoint where a prospect is on the buyer’s journey, and what you need to show them to move them along. Finally, a marketing automation consultant can fill in any gaps in the knowledge your team lacks, and perform processes you can’t be it lead scoring or real-time sales alert management. When your small business hires a consultant, you are paying for a skilled, internet-savvy expert to give you a corporate-quality campaign directed at the people you want to find you. Supercharge your B2B business by upgrading to digital marketing, and watch your conversion rates skyrocket. Marketing automation is no longer the secret weapon to give you a leg up over the competition, it’s quickly becoming the standard. Interested in learning more about marketing automation? 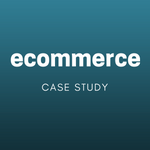 Request one of our free case studies. Or check out our Markting Automation partner Sales Manago.